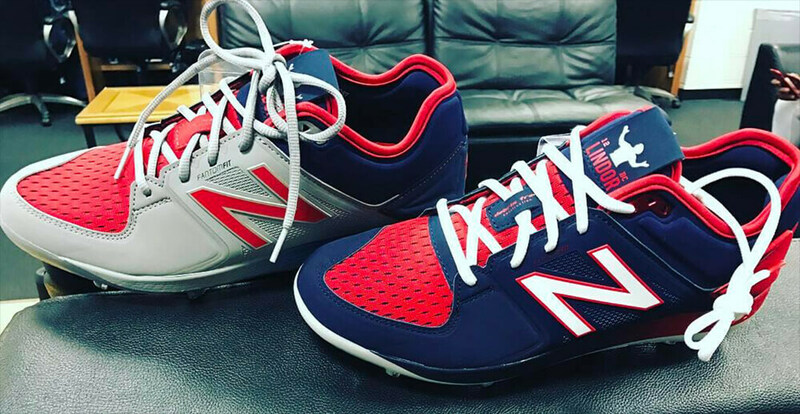 When Lindor switched out his UA cleats for New Balance, he started off with the 4040v3s. 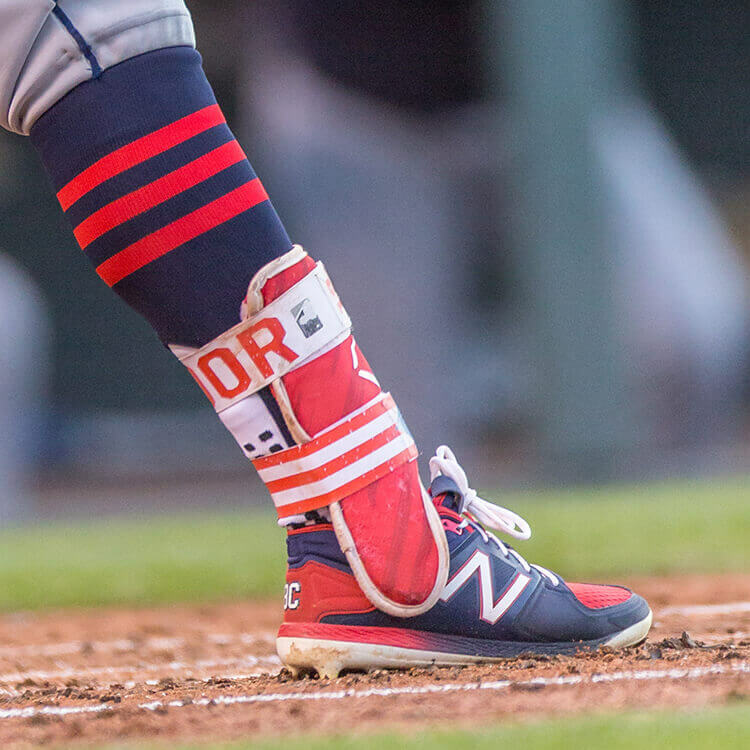 Lately, though, Lindor has settled into the 3000v3s and good grief are these poppin’. Is it as simple as the jersey mesh on the top that makes these things so fire? Or is it the perfect colorways? 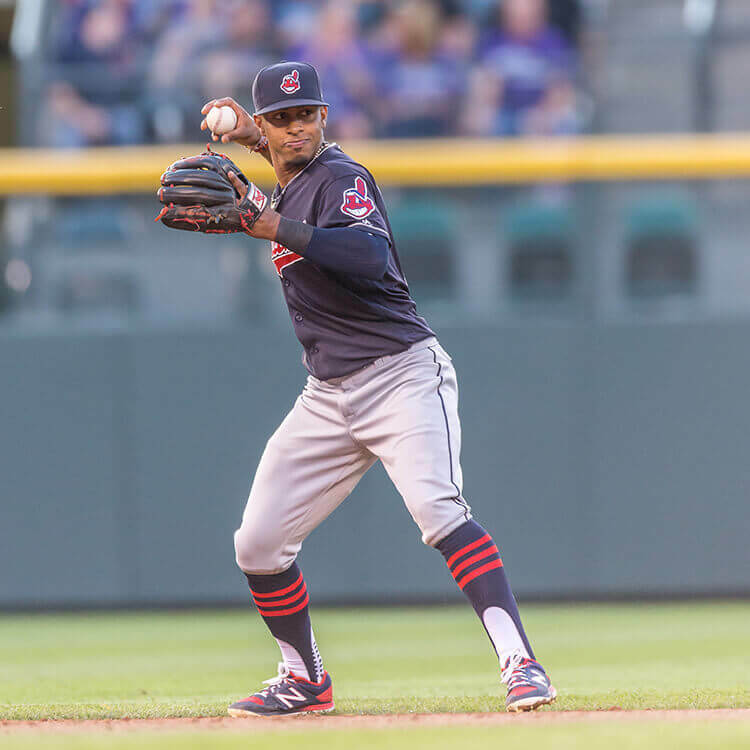 Either way the amazing truth is that you can get pretty close to Lindor’s look at the link (or you can create your own). 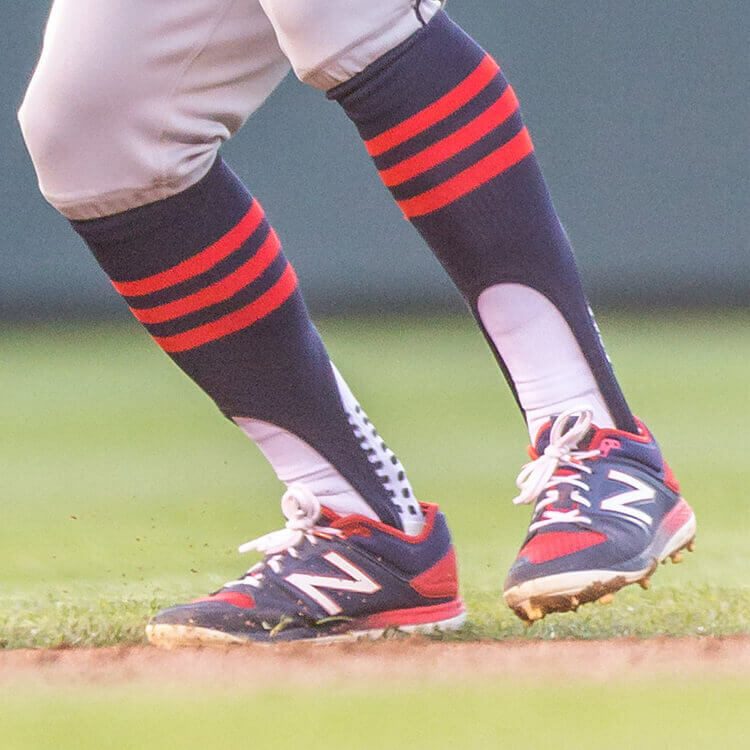 Aside from that, though, we are seeing a plate on Lindor’s that we’ve never seen before from New Balance, and he had a sick color fade done on these that isn’t available on the custom builder. He’s been wearing a red colorway, too, that also looks great.